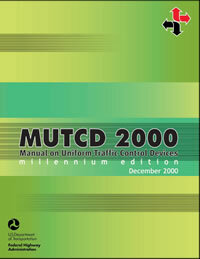 To view the Federal Register notices related to the 2000 MUTCD amendments, please click on Resources, Federal Register in the navigation bar. You will notice that the date the text and figures are posted on the Web site is different from the date of the Federal Register. This is because the rulemaking process requires that the text and figures be posted before the Federal Register is published.